Did you know there are a basketful of flowers that are actually edible? 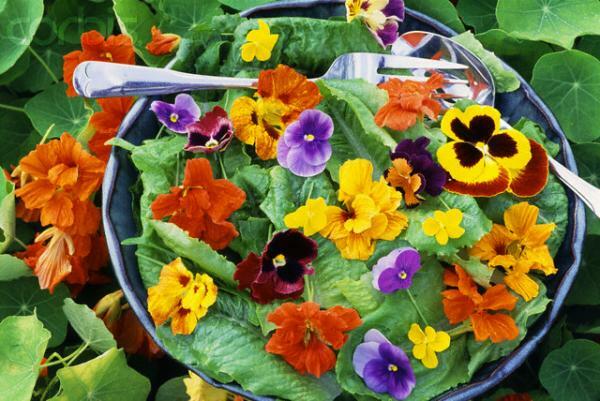 Likely you know that nasturtium, lavender, and pansy are delicious in drinks and salads. But safely edible choices go way beyond these familiar three. 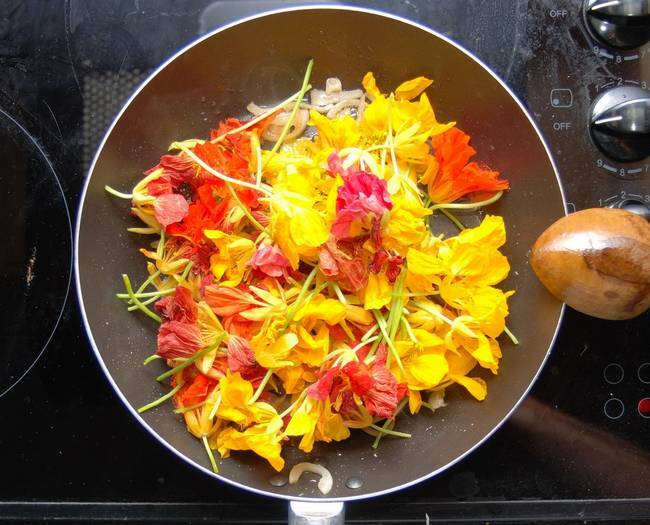 On TreeHugger (www.treehugger.com/green-food), you’ll find the list—41 edible flowers that not only add a pretty touch to your dishes, they add solid flavor appeal as well. Eat only flowers you know are edible (see the list below). Eat flowers you have grown yourself, or know to be safe for consumption. Those from the florist or nursery have probably been treated with pesticides or other chemicals. Never eat roadside flowers or those picked in public parks. Roadside blooms are likely polluted with car exhaust and both may have been treated with pesticides/herbicides. Eat only the petals; remove pistils and stamens before eating. To keep flowers fresh, place them on moist paper towels and refrigerate in an airtight container. Some will last up to 10 days this way. Being safe, here’s the list to test drive (taken from “True Food: Eight Simple Steps to a Healthier You” (National Geographic, 2009) by Annie B. Bond, Melissa Breyer and Wendy Gordon. 1. Allium (leeks, chives, garlic, garlic chives): all parts are edible. 3. Anise hyssop: flowers and leaves have subtle anise or licorice flavor. 4. Arugula blossoms: peppery flavor, like the leaves. 5. Bachelor’s button: avoid the bitter calyx; edible petals taste grassy. 6. Basil Blossoms: similar to the leaves, but milder. 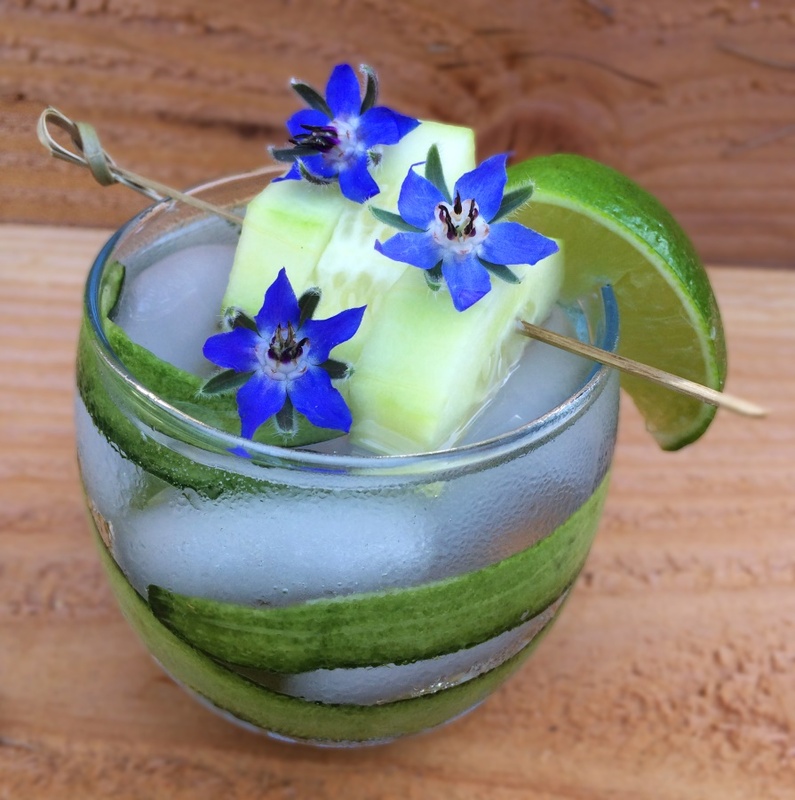 Borage blossoms: taste like cucumber! 9. Calendula / marigold blossoms: peppery, tangy, and spicy. 10. 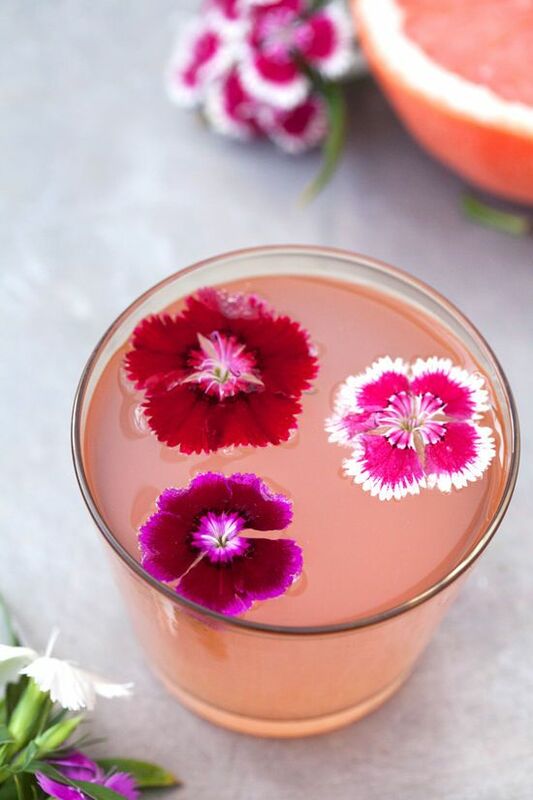 Carnations / dianthus petals: sweet and blossoms taste like their sweet, perfumed aroma. 11. Chamomile: sweet flavor; often used in tea. 12. Chervil blossoms: anise flavor. 13. Chicory: mildly bitter earthiness; buds can be pickled. 14. Chrysanthemum: slightly bitter; flavors range from peppery to pungent. Use only the petals. 15. Cilantro flowers: grassy flavor of the herb. Use fresh (they’re nasty when heated). 16. Citrus blossoms: sweet; use frugally or they’ll over-perfume a dish. 17. Clover: sweet with hint of licorice. 18. Dill flowers: like the herb’s leaves. 19. English daisy: not the best-tasting (somewhat bitter), but they look great! 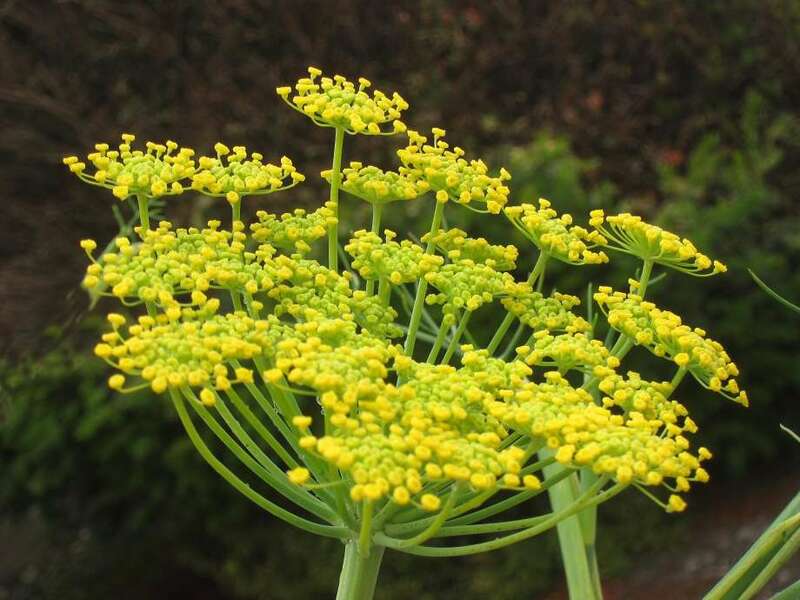 Fennel flowers: subtle licorice flavor. 21. Fuchsia: tangy; a beautiful garnish. 22. Gladiolus: bland; can be stuffed, or use petals for salad garnish. 23. Hibiscus: tart cranberry flavor; used in tea. 24. Hollyhock: bland, vegetal flavor; a showy, edible garnish! 25. Impatiens flowers: little flavor; pretty as garnish or for candying. 26. Jasmine: super-fragrant, used in tea and sparingly in sweet dishes. 27. Johnny Jump-Up: delicious subtle mint flavor; great for salads, pastas, fruit dishes and drinks. 28. Lavender: sweet, spicy; works well in both savory and sweet dishes. 29. Lemon verbena: lemon flavor that’s good in tea and desserts. 30. Lilac: floral citrusy flavor. 32. Nasturtium: sweet and bursts with spicy pepper finish. When it goes to seed, the tastes sweet and spicy. Stuff flowers, add leaves to salads, pickle buds like capers, garnish with them. 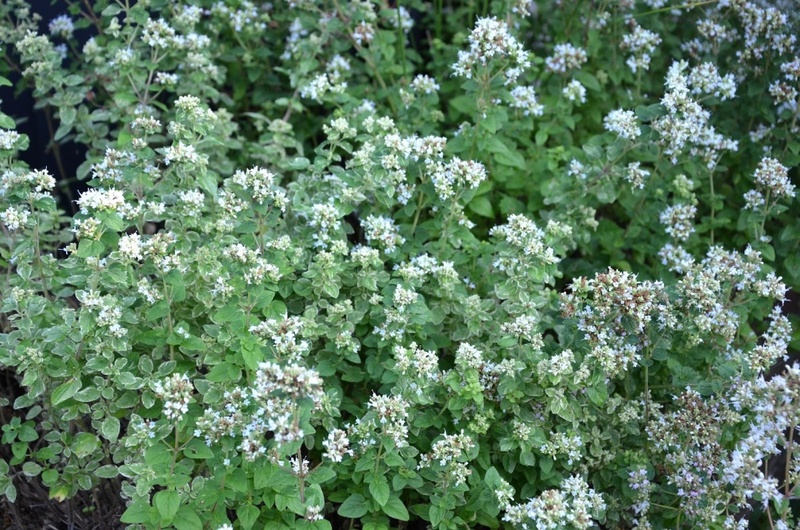 Oregano flowers: subtly like the leaf. 34. Pansy: nondescript, but whole flower gives more taste. 35. Radish flowers: a peppery bite. 36. Rose petals: strongly perfumed flavor perfect for floating in drinks or scattering across desserts, and for jams. All roses are edible, with flavor more pronounced in darker varieties. 37. Rosemary flowers: milder version of the herb. 38. Sage blossoms: subtly like the leaves. 39. Squash and pumpkin blossoms: slight squash flavor. 40. Sunflower petals: mild; bud can be steamed like an artichoke. 41. Violets: sweet and like they smell; perfect in salads and as a garnish. 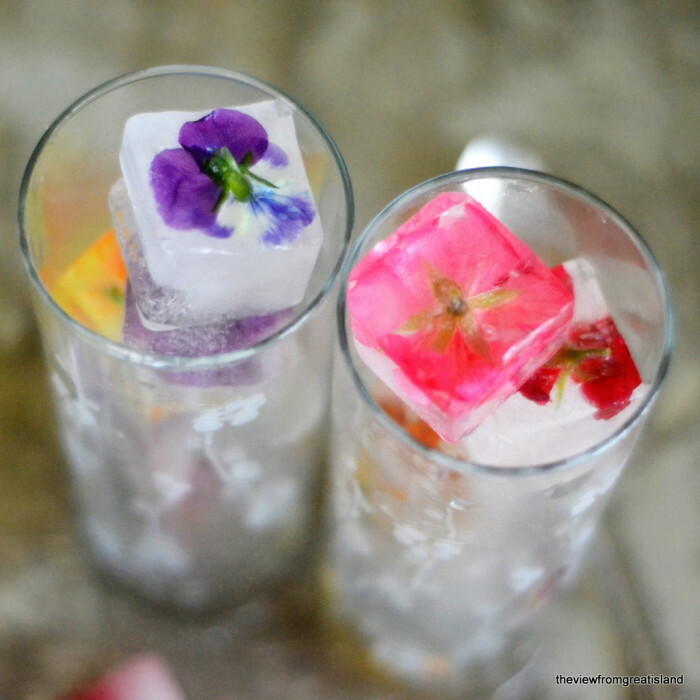 Finally, why not take these pretty edibles and make floral ice cubes? Gather a colorful variety of your favorites, rinse gently and fill a large ice-cube tray half full of water; place a few blooms in each well, fully submersing the blooms. Freeze for a couple hours, then fill the wells with water to the top and refreeze. They look lovely, feel fancy, and as they melt they’ll add subtle flavor appeal to your drink!